Odyssey Condominiums is a new condo and townhouse development by Rosehaven Homes currently in preconstruction at 10 Windward Drive, Grimsby. Sales for available units range in price from the mid $300,000's to the low $800,000's. We all have a unique story. A journey that has shaped your lifestyle and brought you here, to the calming shores of Grimsby, on Lake Ontario. Here, to the forever views of water and sky, white sails and the Toronto skyline across the bay. 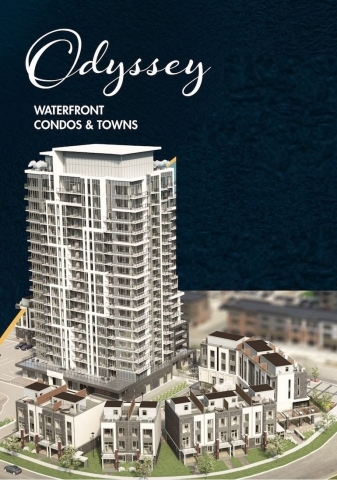 Introducing Odyssey, a brilliant 20 storey condominium residence, complemented by an exclusive collection of two and three-storey condo townhomes, under 30 minutes from St. Catharines, Oakville, Hamilton and Burlington. An iconic lifestyle that’s modern, convenient and comfortable awaits you. We all have a journey - one that has shaped your lifestyle and brought you here, to the calming shores of Lake Ontario. Here, to the forever views of water and sky, white sails and the iconic Toronto skyline across the bay. 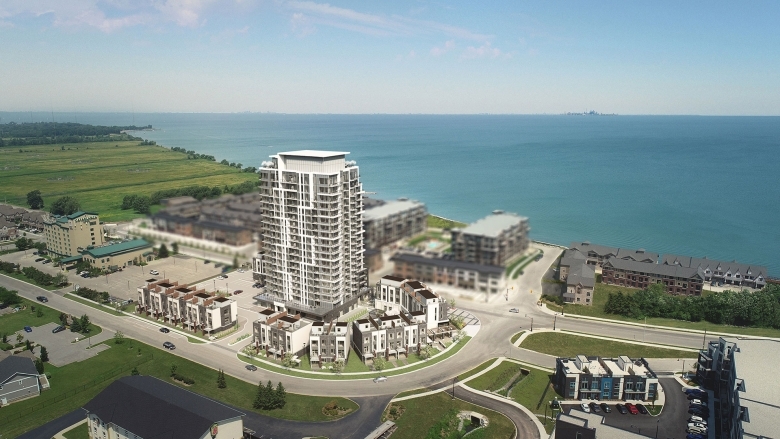 In 2018, Rosehaven is introducing Odyssey, a brilliant 20-storey condominium tower, complemented by an exclusive collection of two and three-storey condo townhomes, under 30 minutes from Oakville, Burlington, Hamilton and St. Catharines. Experience an iconic lifestyle that’s modern, convenient and comfortable.